If you have never experienced Dim Sum before, the epicurean in me cries for you and if you have and claim to not enjoy it, then you are crazier than Paul “Bear” Vasquez appears to be in his famous viral video Double Rainbow! Dim Sum is not only about the food that is offered, it is also about the unique way this fare is served. Traditionally, these mini meals are carted around the dining area while the customers choose as many different varieties as they wish to become part of their smorgasbord for all to enjoy. This distinctive style of service is what makes Dim Sum not only a meal but a fun interactive way to dine with friends. Furthermore, when visiting a Dim Sum eatery, you should channel your inner Peter Griffin and be happy that at Dim Sum, the Buffet comes to you! Recently one of my foodie friends recommended a restaurant named Noodle Chu which is located at 770 US Hwy 46 in Parsippany New Jersey that transforms into a Dim Sum establishment every Sunday. Normally, Sundays are reserved for cooking, drinking, and watching football for this Blue Collar Foodie, but I just could not resist a brunch time Dim Sum extravaganza. When you approach Noodle Chu, the slightly dilapidated sign that hangs outside does not scream, “this is the restaurant you want to visit!” But I have fallen into the judging a book by its cover trap more times than I would like to admit, so I listened to Admiral Ackbar’s voice as it bounced around my brain and entered Noodle Chu with an open mind and an empty belly. Once inside, Noodle Chu, I could tell I had come to the right place for Dim Sum in New Jersey. From the outside it looks like a small establishment that could hold at best 50 people, but much like the Tardis, Noodle Chu is bigger on the inside and is comprised of two dining areas instead of just the one that we could see from the parking lot. Furthermore, at 10:45 in the morning, which I might add is not a traditionally normal time for Dim Sum, there was already a substantial amount of people seated and eating their way through brunch. Even more impressive, was the amount of Asian families that were partaking in Noodle Chu’s festivities which is always a good sign for how authentic the food truly is. Another important thing to remember is that it is okay to say no to the servers. You must understand that it is their job to sell you as many items as they can in a short period of time, thus raising your bill and clearing the table quicker. Furthermore, some of them are pushier than Ben Roethlisberger on a Viagra and Cialis cocktail during a homecoming celebration, so you will have to be firm when declining a dish. Honestly though this ordering dance is all part of the fun of the Dim Sum experience. With the Dim Sum directive in mind, we began to choose the most appealing dishes from the carts that were passing by. Slowly but surely the giant lazy Susan in the middle of our table was filling with steamer bowls, dishes, and bowls all chock full of awesomeness until we decided that our first round was complete. Once this decision was made it was time for my favorite part of any meal with friends, our first collective bite. 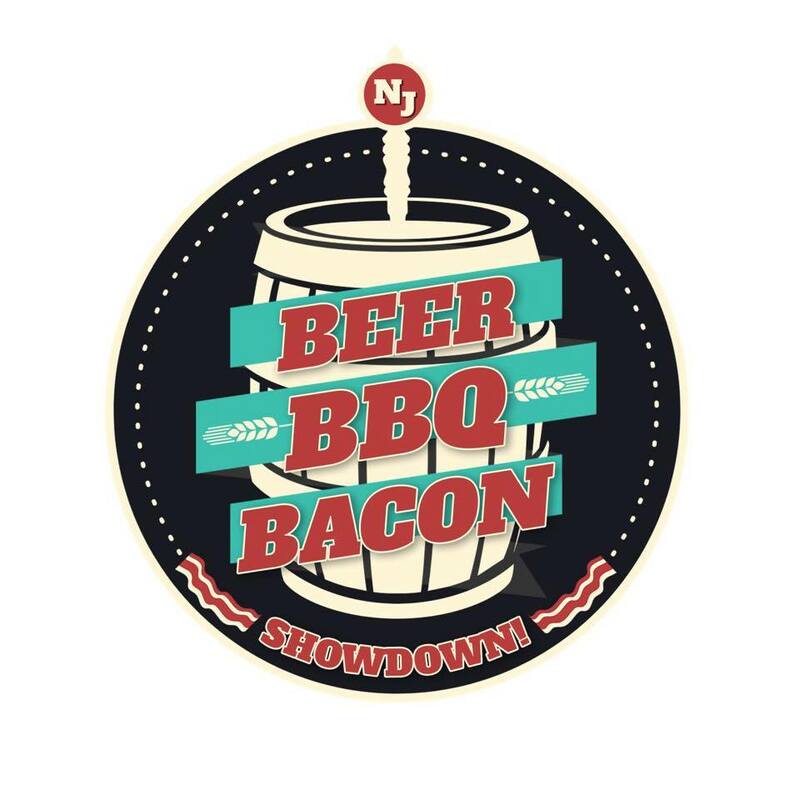 In my opinion, this naturally occurring, simultaneous taste of the ensuing banquet is better than any shot that I could ever participate in at a bar. With the first bite down, the First Annual Blue Collar Foodie Dim Sum Invitational began, and it was epic! Normally, this is the part of my article where I explain the food that I ate in detail and try to give you a case of food envy, so you will feel obligated to venture to the spot I am reviewing. I would love to say that I could do that, but as I stated earlier in my definition, part of the fun of Dim Sum is that for the most part you have no idea what you are eating. Even if you swallow your pride and ask what the dish you are selecting off the cart is comprised of, most of the time a combination of a language barrier, the ambient noise of the restaurant, and the soft speaking voice of the server leaves you with little to no information about what you are about to eat. The good news is every dish we ate at Noodle Chu was mouthwateringly foodie approved and after the first bite even an untrained palate can usually ascertain the basic ingredients what was ordered. A word of caution though, if you have friends that have food allergies, are Gluten Free, vegan, vegetarian, or keep Kosher, I suggest you leave them home while you enjoy your epicurean adventure at Noodle Chu. Not that they would not be able to find something to eat, but each time they take a bite of something new, they would be rolling the dice with their dietary concerns. Dim Sum does not lend itself to picky, finicky, or squeamish eaters either, considering that you may never find out what you just ingested, and one must be okay with that concept when partaking in this exploratory cuisine. Don’t be afraid, most of the dishes that you will be served will consist of the basic building blocks of normal Chinese Food. 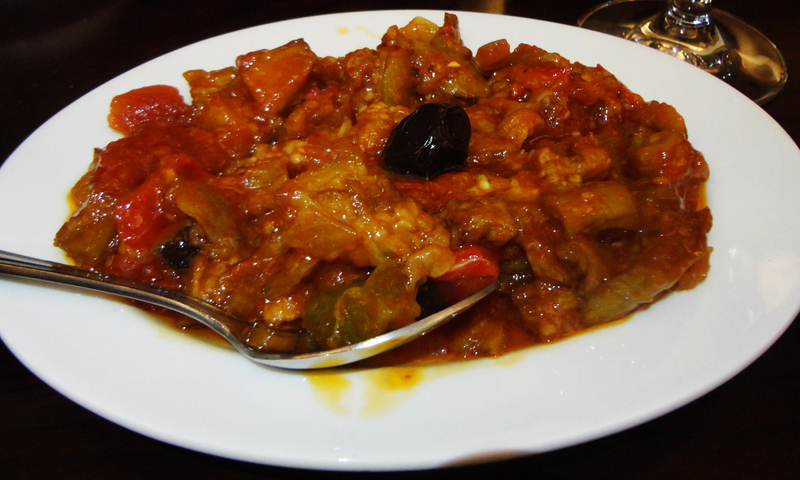 You will find pork, beef, seafood, and tofu as the main components of most of the dishes that you will be offered. If you are however feeling frisky, and want to try some of the more adventurous options, you should be able to sample tripe, chicken feet, squid, and other assorted strangeness, so keep your eyes peeled as the carts go whizzing by. As with every restaurant I review, I am always concerned about price and trying to figure out the pricing of Dim Sum is about as easy as learning how to play craps, while reading The Silmarillion, and listening to Death Metal. In other words, good luck with that. Just to explain how ridiculously difficult it is to keep track of the bill, of the eight people that were eating at our table, two of them were accountants and three of them teach at the University Level, and we were still as lost as Hurley, Kate, Mr. Eko, Sawyer, and Jack. No worries, my fellow frugal foodies, after 29 spectacular dishes, the total per person tally including tip and tax was a paltry $16.00. That is right, you read that correctly! I could not believe it either, I thought there must be a mistake, but even after a recount the bill remained the same. I was in awe, I was dumbfounded, I was in love with Noodle Chu!!! The general theme of this blog post, in case you missed it, is that Dim Sum and The Blue Collar Foodie are BFFs, and Noodle Chu is our new rendezvous point. I used to have to travel all the way to New York City for high quality, inexpensive, Dim Sum, but that is not the case anymore, thanks to Noodle Chu! Since November 30, 2013 was Shop Small Saturday, I being a foodie took that as a cue to not only visit my favorite local shops but also to support the local eateries around town. For breakfast Kat and I stopped off at our favorite bagel shop, Modern Bagel, located at 23-59 Fair Lawn Avenue in Fair Lawn. I know, I just inadvertently started Bagel Wars on the internets by claiming that Modern Bagel was our favorite, but that is not what this article is about so please refrain from threatening my first born son, lovely wife, and/or cute dog, because you feel that there are other bagel shops in the area that are better. I respect your opinion, even though it is wrong, Sick Burn, so you should follow what theChive.com says, Keep Calm and Carry On. Once our bellies were full, Kat and I decided to venture down the road a bit and visit our favorite and damn near the last true comic book store in the world, The Joker’s Child, located at 12-23 River Road in Fair Lawn. If you have any Big Bang Theory types on your Christmas list this is the only place to go to fill their stockings chock full of nerdy goodness! 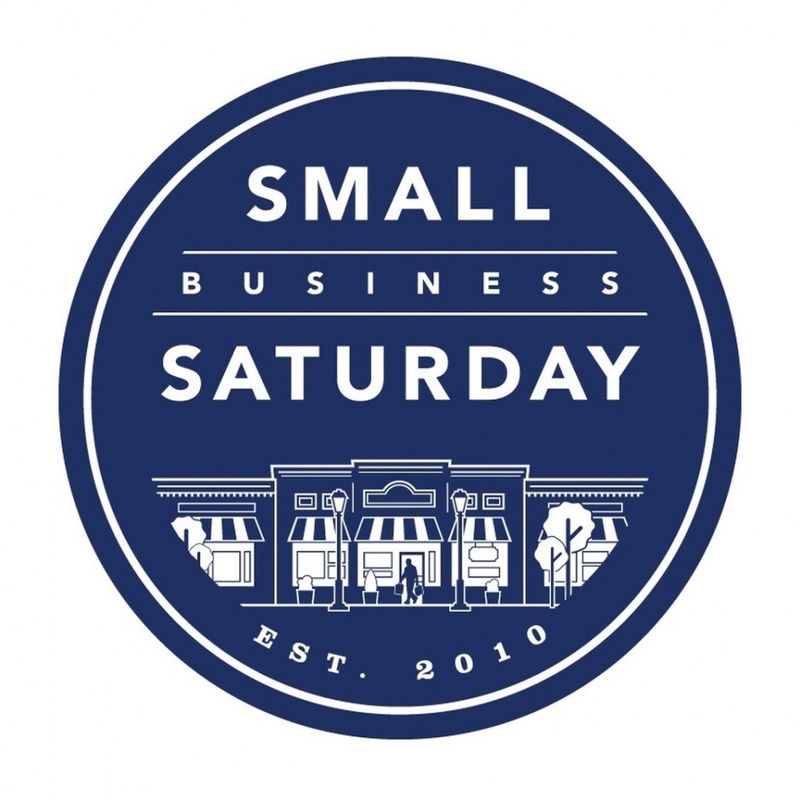 Help make every Saturday Small Business Saturday! While Kat and I were browsing everything from Archie to Zombies, we were discussing our dinner. I know what you are thinking blog reader man, “dude you just ate breakfast, and you are already thinking about dinner!” To that I say, don’t judge us, Kat and I like food, like the Grinch loves misery, like Frosty hates global warming, and like Justin Beiber (There should be a link here for the Beebs, but I refuse to perpetuate his fame and therefore, no Wiki link for him!) likes selfies, so thinking about dinner before lunch makes perfect sense, Jerk! Kat and I are very serious about dining out. You see, there are many pros to being The Blue Collar Foodie, but there are some Cons. One such Con is that we don’t get to frequent the same place very often because I am always on the hunt for a new and exciting place to write about, so a lot of thought normally goes into to where we should dine. However, this decision was somewhat simple, thanks to one of my Facebook friends Carolina P., who informed me about a new Fair Lawn eatery that moved into the Picnic’s old digs. So, before leaving The Joker’s Child, with a handful of gifts for our friends, Kat and I decided that The Istanbul Café & Grill, located at 1425 Plaza Road North in Fair Lawn, NJ, is where our Small Business Saturday Smorgasbord would be. I dare you to try to say the name of this Restaurant without singing this song in your head. Go. With that decided, Kat and I could enjoy the rest of our Saturday pontificating, dreaming, and salivating, patiently waiting for dinner time to arrive. Since we seem to never have a spare moment in our lives, the day went by relatively fast and soon enough we were pulling up to The Istanbul Café & Grill packing a camera and our normal hearty appetites ready to devour some delicious Turkish food. Upon entering The Istanbul Café & Grill, we were immediately greeted by not only a friendly member of the wait staff, but also the fantastic aroma that can only be attained by the low and slow cooking of fresh quality ingredients. Since Istanbul Café & Grill is a BYOB establishment, we brought a bottle of middle of the road white wine to accompany our meal, and our helpful waitress showed us to our table before whisking the bottle away to be opened post haste. Once seated we realized that this restaurant was perfect for not only couples but could easily accommodate the two large families that were in attendance. Although, I do suggest a reservation for larger parties, as the dining room was mostly full when we arrived. Our waitress soon returned with our now uncorked bottle of wine and our reading material for the evening, the menus. To be honest, as much as I love a good book now and again, I will honestly take the menu from a respectable restaurant over a Dostoyevsky any day of the week. We filled our glasses with wine, toasted to a rare date night, and perused the menu with the logical profoundness of Mr. Spock. As we carefully weighed our options, as to not make the wrong decision and be destined to have plate envy for the entire evening, we decided that there simply were too many options to choose just one and sharing was in order. Once we made the decision to go all Karl Marx on our dinner, the decision was much easier, considering we were guaranteed to have at least half of each other’s food, thus negating plate envy altogether. Now we only had to worry about eater’s remorse. We soon decided on the Eggplant Salad for an appetizer, combined with the Mixed Grill and Stuffed Cabbage as out main courses. With our order complete, we were then able to sit back, relax, and sip our wine as we absorbed the ambience of The Istanbul Café & Grill. The first thing I noticed is that Istanbul Café & Grill is bucking the trend that seems to be in many new foodie approved eateries across the land, and that is a dark and dimly lit dining area with dub step blaring over hipster speakers. The Istanbul Café & Grill was well lit with soft light and had quiet, modern, culturally influenced music as the soundtrack for our meal. I thoroughly enjoyed the atmosphere of The Istanbul Café & Grill which allowed me to both see my lovely wife and enjoy a conversation with her without using more hand gestures than a sign language interpreter would use during an old school Micro Machine Commercial. 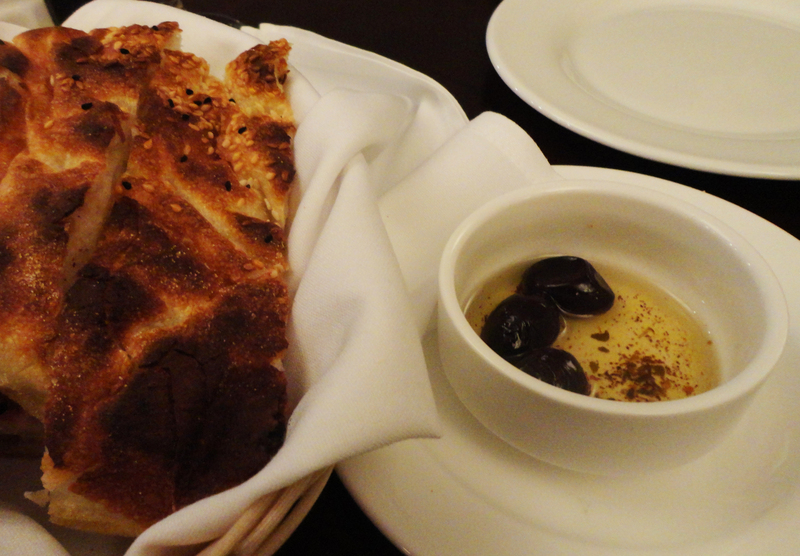 While Kat and I were relishing in our peaceful conversation, which was most likely about either food or Grumpy Cat our waitress delivered a basket of warm fresh bread paired with a bowl of olive oil complete with a few olives and house seasoning. Warm bread makes me happier than an Elf eating candy wrapped Schnapps cake on December 26, 2013, so I immediately grabbed a hunk of this deliciousness and dipped it into the olive oil. I savored each bite of this toasty, doughy, and somewhat crispy slice of awesome and only halted my delight when our appetizer arrived. Whoa the colors man, the colors! The color of our dish was so vibrant it looked like an Andy Warhol painting that should be on the wall rather than in a bowl. After the requisite photo session, Kat and I attacked this aromatic dish with the tenacity of a honey badger. Being a purist, I ignored my instinct to grab another hunk of the warm bread and dip it into this eggplant laden concoction, and instead guided a forkful towards my awaiting taste buds. The flavor of this dish was elegant and delicate, yet so complex that it lingered long after I had swallowed it. Nothing about it was overbearing which allowed all of the tastes to marry together flawlessly. After tasting it by itself, I was unable to resist the urge to create a bread and eggplant conglomerate, and so I did. The warm bread danced with the cold eggplant salad and created a wonderful juxtaposition that I thoroughly enjoyed. Shortly after Kat and I finished our appetizer our main courses arrived at the table. The first thing I noticed upon its delivery was that the portion sizes at The Istanbul Café & Grill seemed to be very generous. 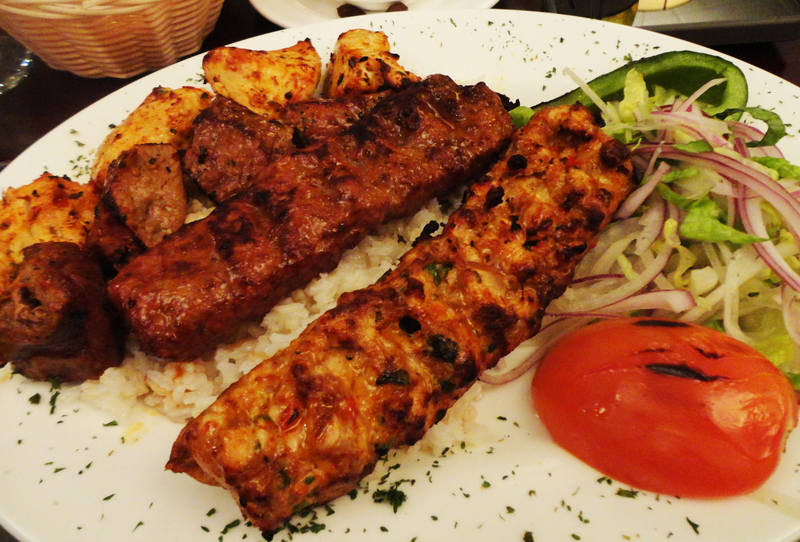 The Mixed Grill, described as a combination of Chicken Shish, Adana Kebab, and Chicken Adana was paired with a substantial amount of rice pilaf and a garnish that we found to be perfect for cleansing our palates in between the different types of meat. Each of these appetizing morsels of meaty goodness were fork tender and teeming with flavor. As we were consuming each style it seemed as if the one we had just eaten was our favorite; that is until we tried the next one. I would highly recommend this dish to the Istanbul Café & Grill virgin, as it gives you the opportunity to try a few varieties of the awesomeness that is being grilled in the kitchen. Cabbage Stuffed Chock Full of Wonderfulness! After trying a few pieces of the delectable meat that formed the Mixed Grill, we moved on to the Stuffed Cabbage that was described as cabbage leaves stuffed with ground lamb and rice served with yogurt. To be honest, I am usually not a huge fan of Stuffed Cabbage, but Kat loves the stuff. I really wanted to try the yogurt sauce, so I acquiesced to the ordering of this dish. I should remember moments like these when I question listening to my wife because she was absolutely spot on about this entrée. 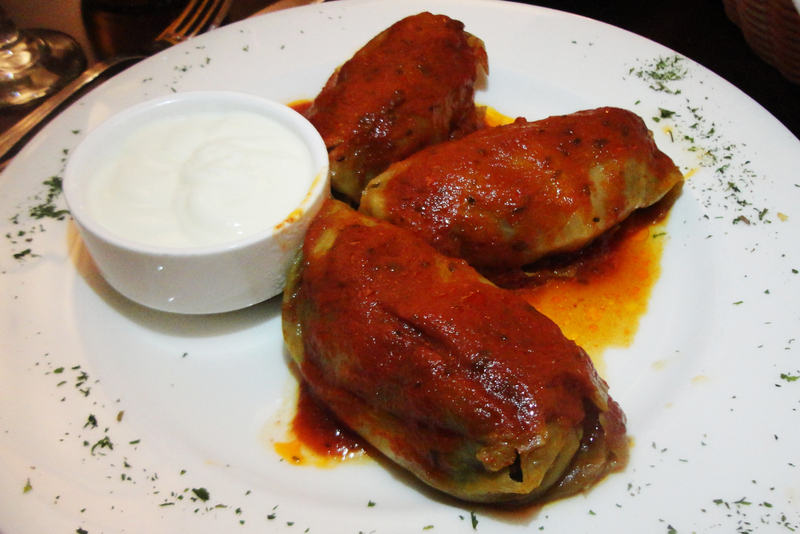 Not only was this easily the best Stuffed Cabbage Rolls I have ever tasted, but the yogurt sauce was damn near perfect. This simple, smooth, and creamy sauce not only was an impeccable companion to the Stuffed Cabbage dish, but it also went quite well with all the meat from the Mixed Grill. Not only was everything that we ate at the Istanbul Café & Grill tasty and wonderfully prepared but the bill was just right too. Don’t get it twisted, this establishment is not cheap, but you most definitely get your money’s worth. It is apparent that this eatery serves high quality, fresh food that is cooked with love, on site, by an expert. 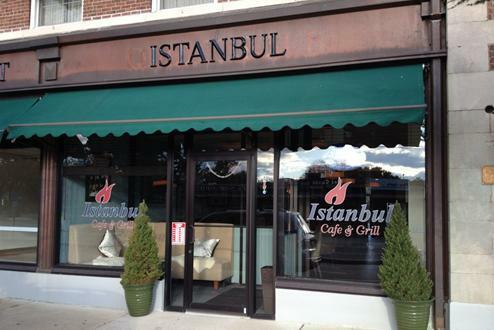 If you are in the Fair Lawn area, and you are in the mood for a meal with Turkish Flair, I highly suggest you make your way down to the Istanbul Café & Grill and try a few of their subtle yet flavorful dishes.